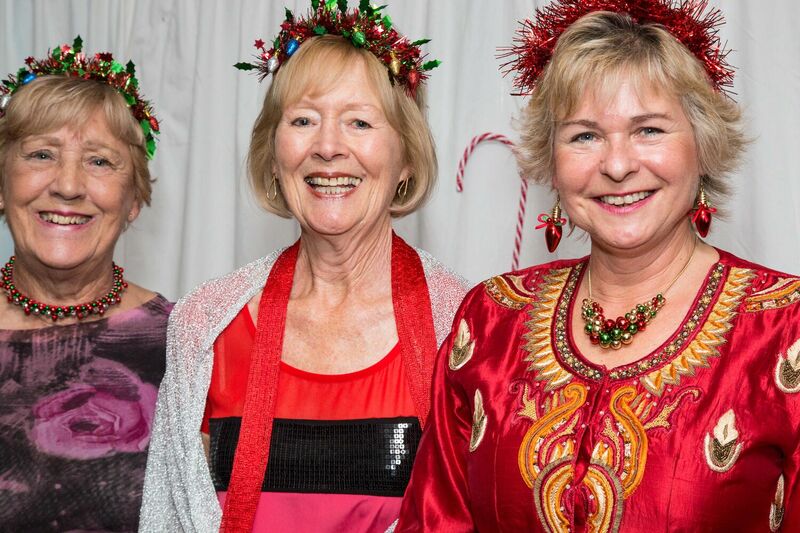 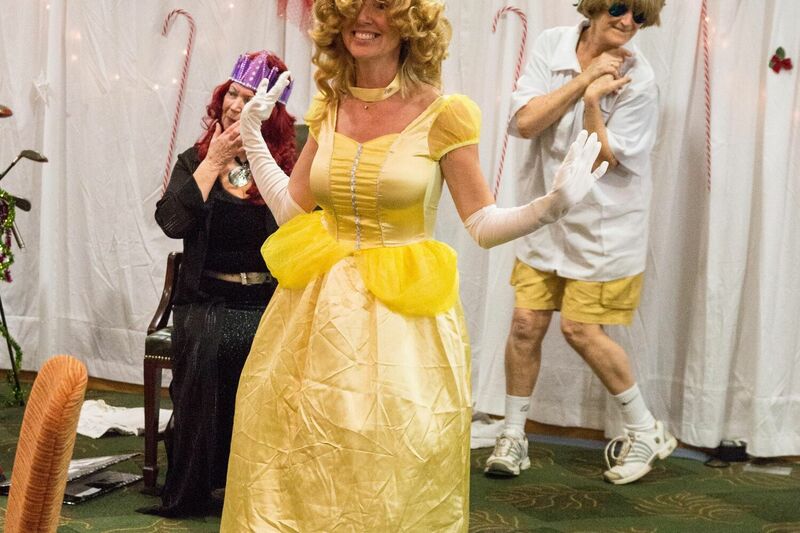 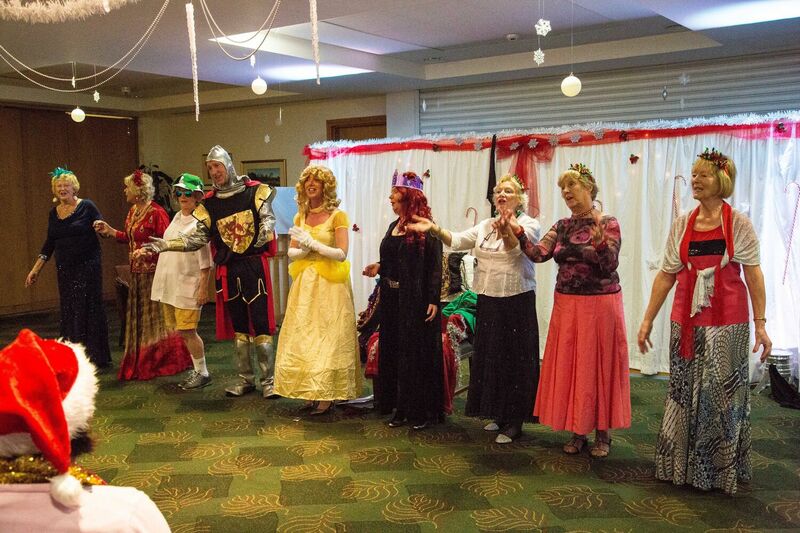 North Hants Ladies Christmas Pantomime. 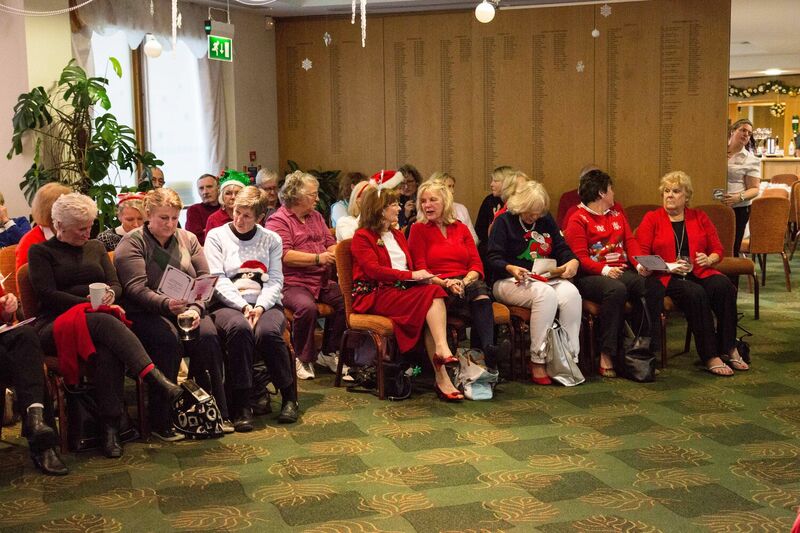 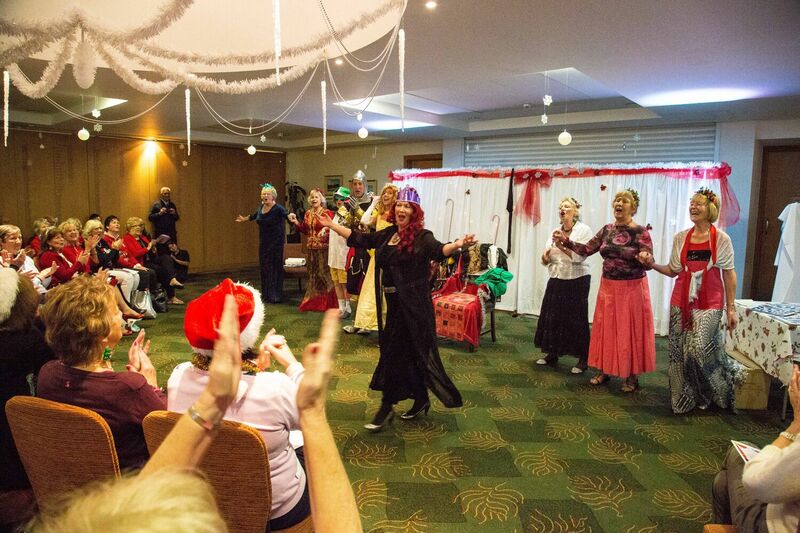 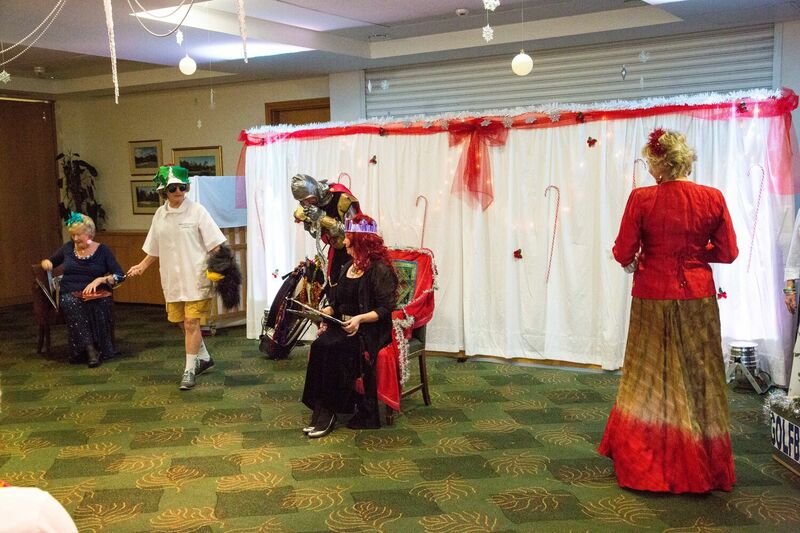 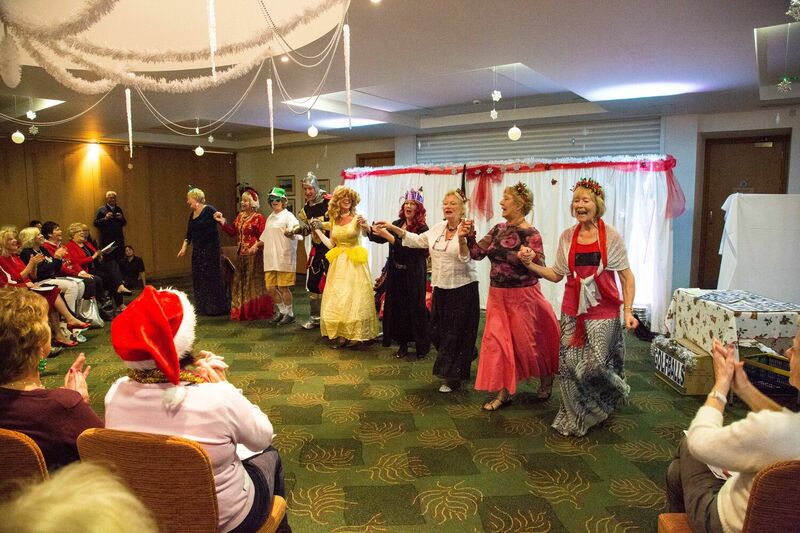 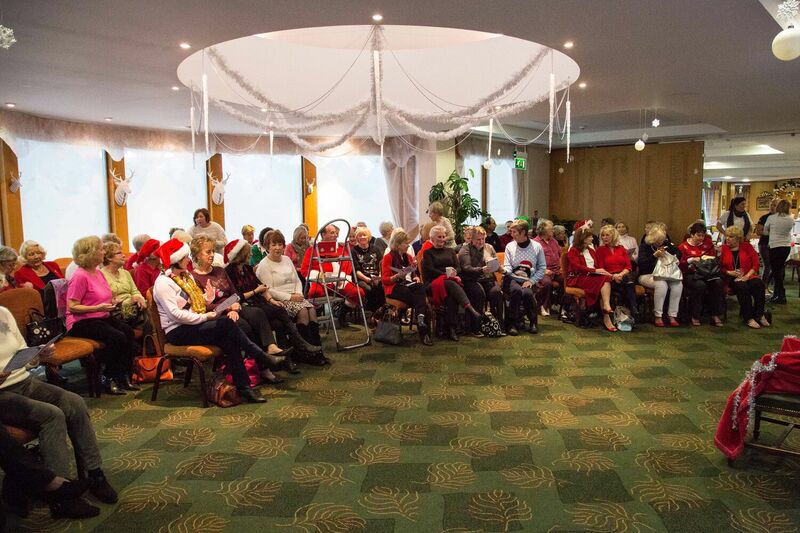 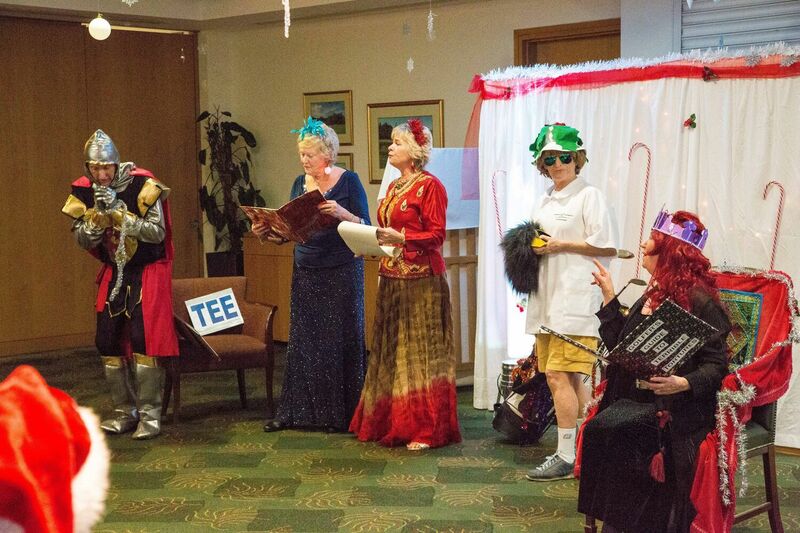 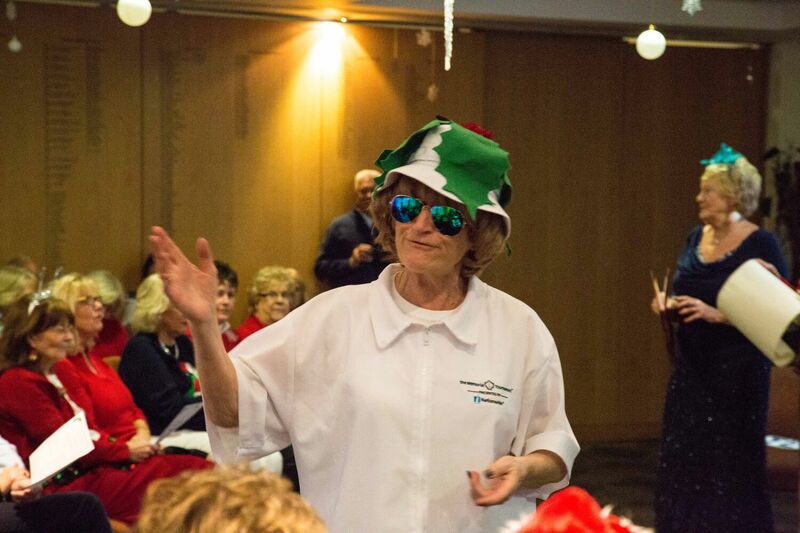 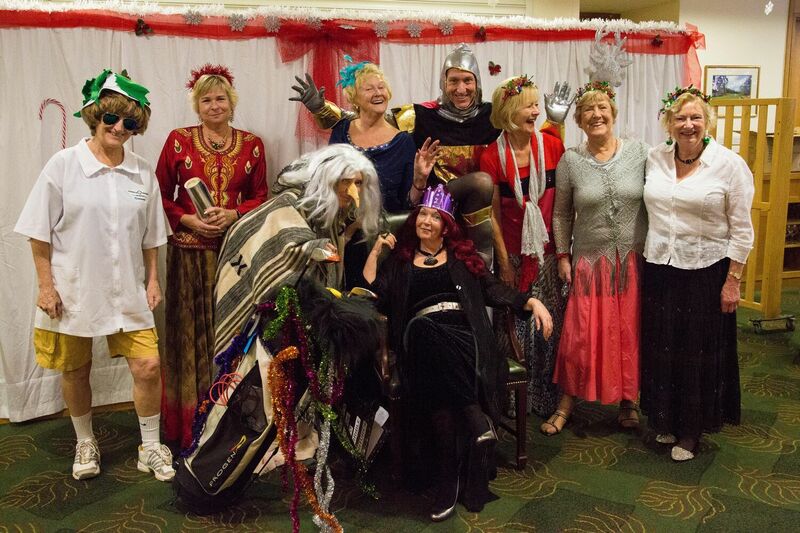 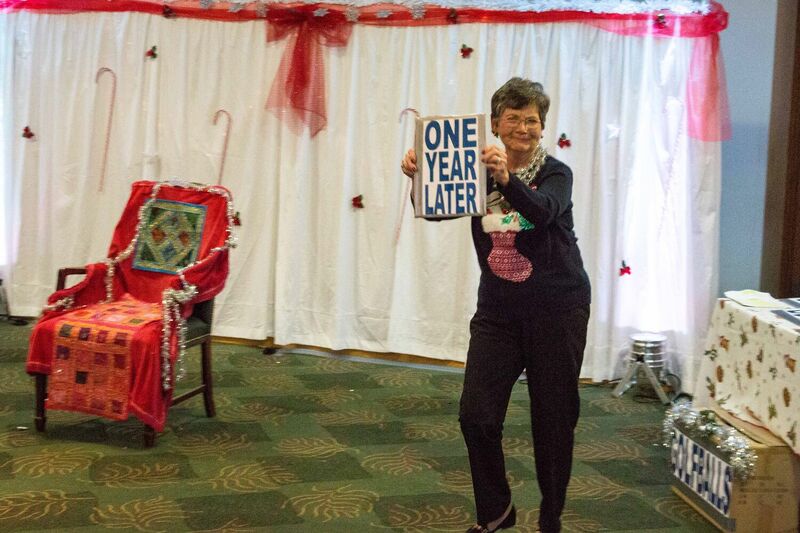 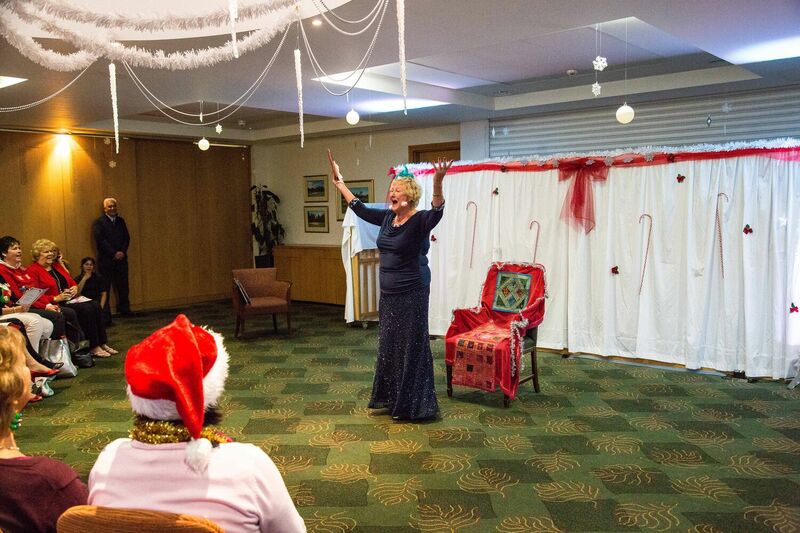 The Ladies Section presented their first ever Pantomime after the traditional Christmas golf competition and tea afternoon. 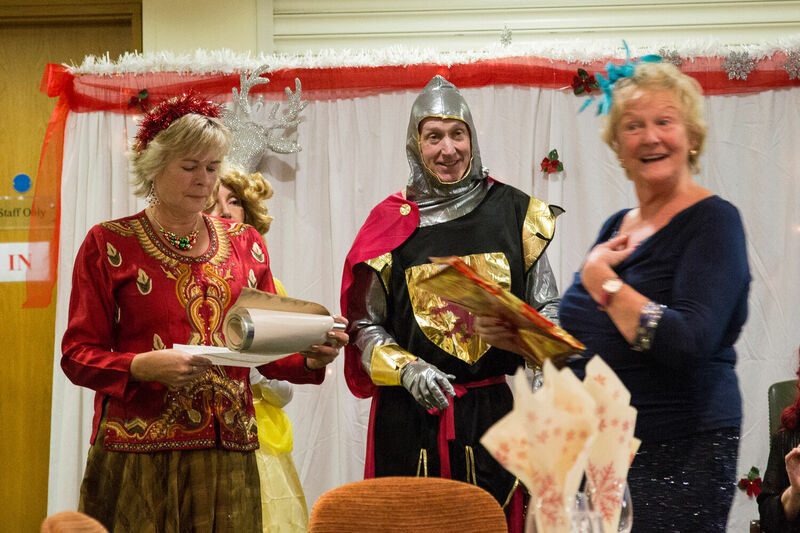 The dining room was transformed into a theatre and was soon filled with an enthusiastic audience of members, staff and friends. 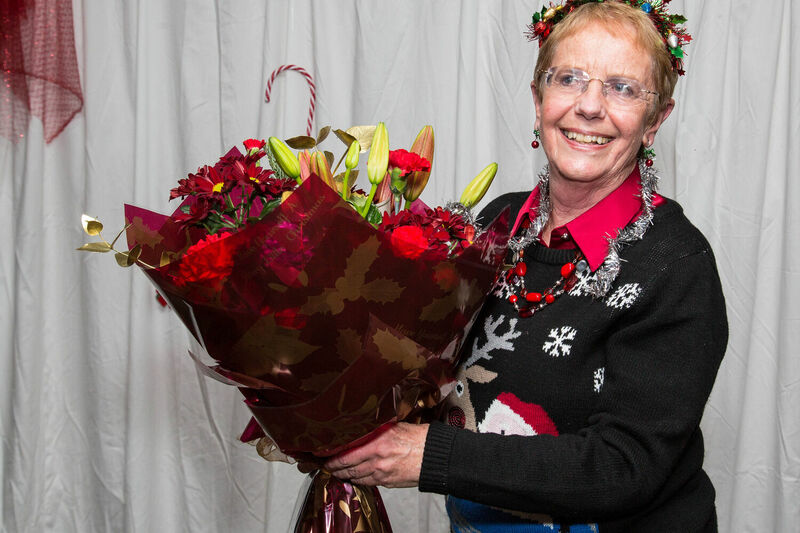 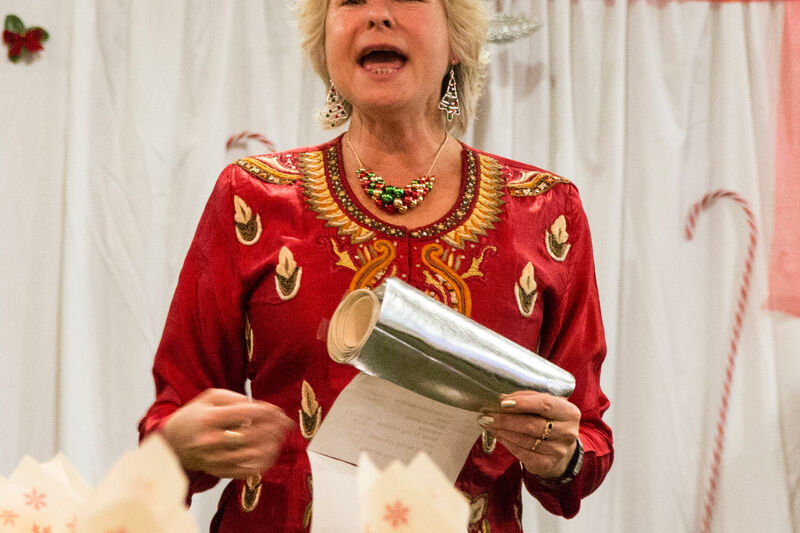 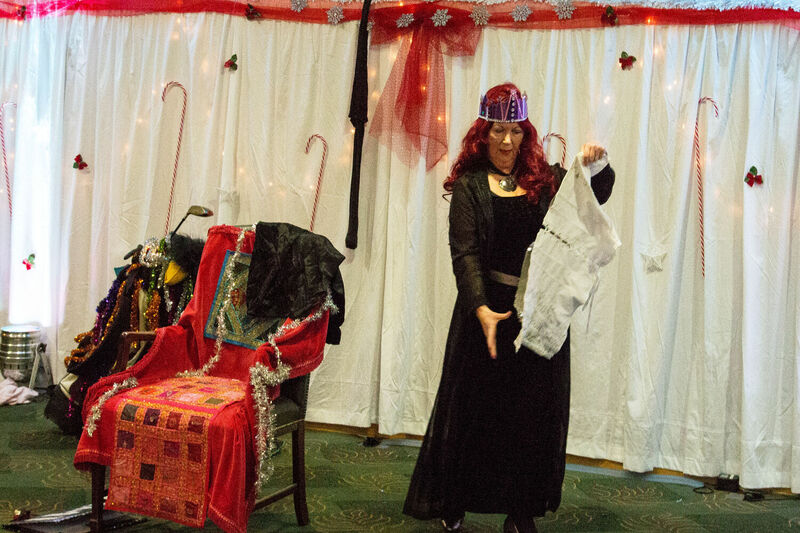 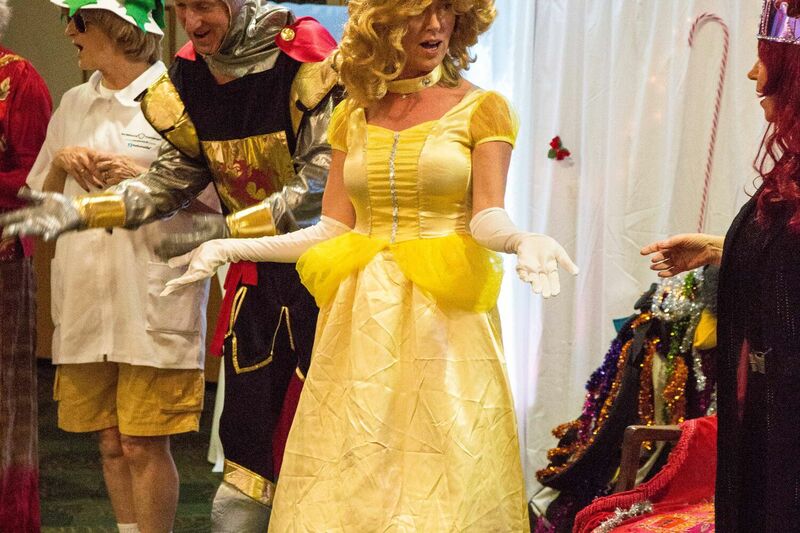 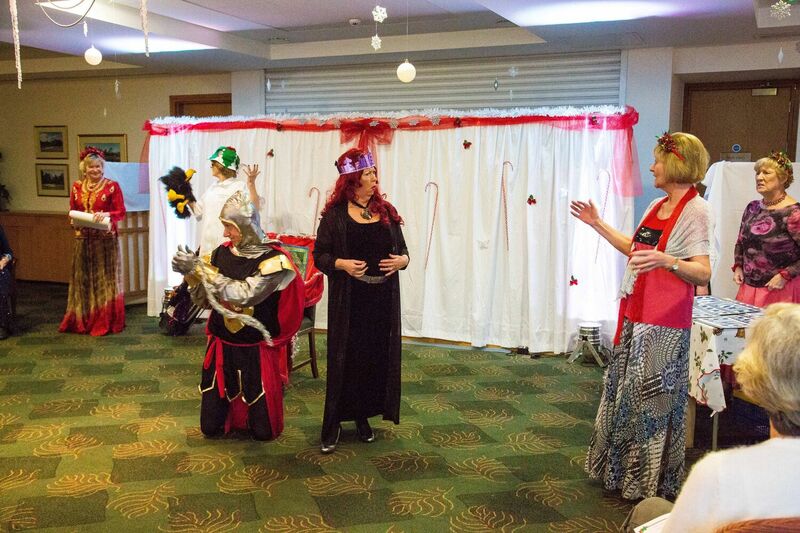 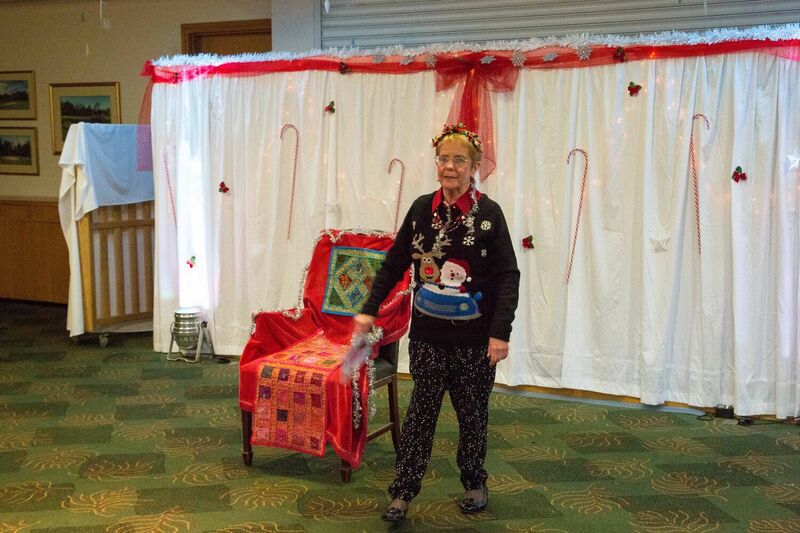 Based on a Chaucer Tale, The Wife of Bath’s Christmas Tale, or The Naughty Knight from Fairway Green, the Panto was especially written for the club by local author and poet Clare Bevan, who we were delighted to welcome to the performance. 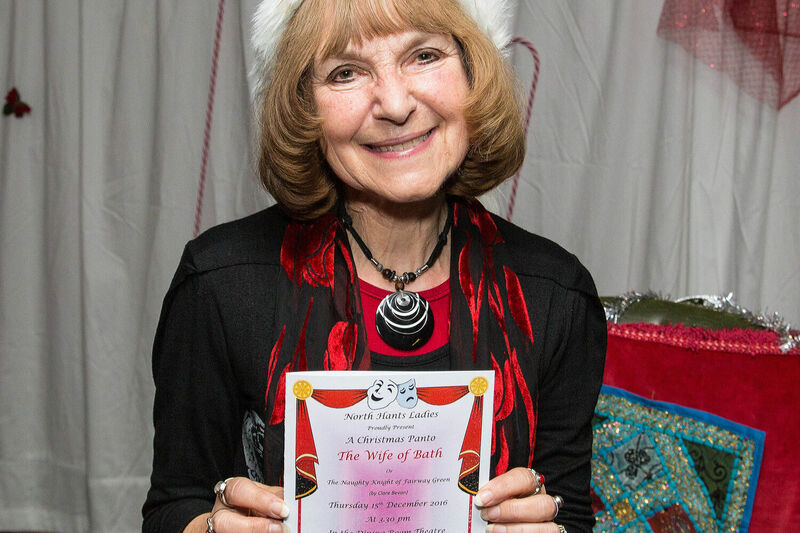 The action took place in the stately home of Lady Nice, (Penny Cantwell) where she was hosting an afternoon of fun and jollity, organised by her friend, the Wife of Bath. 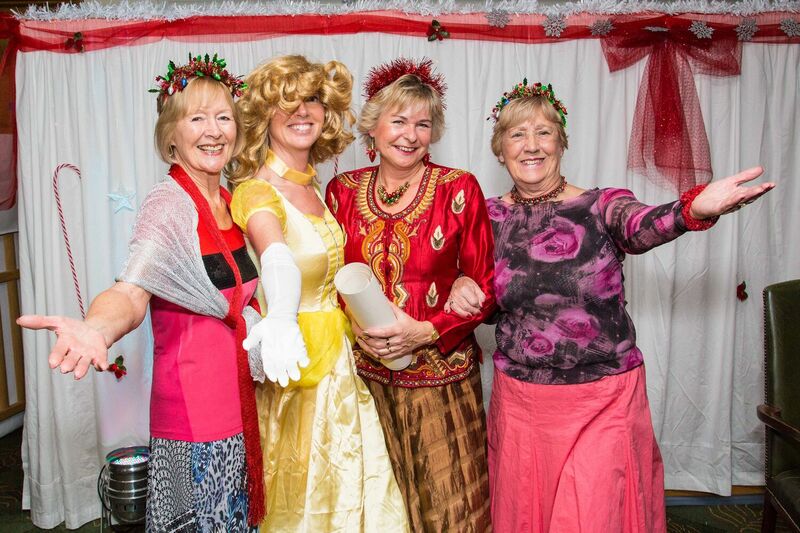 (Sheila Osbourne) Enter the Naughty Knight, (Chris Gotla) an imperious Queen, (Elizabeth McMahon) a bossy caddie, (Peita De Glanville) and three Festive Ladies, (Cathy Fennell, Jean Fox and Angie Johnstone). 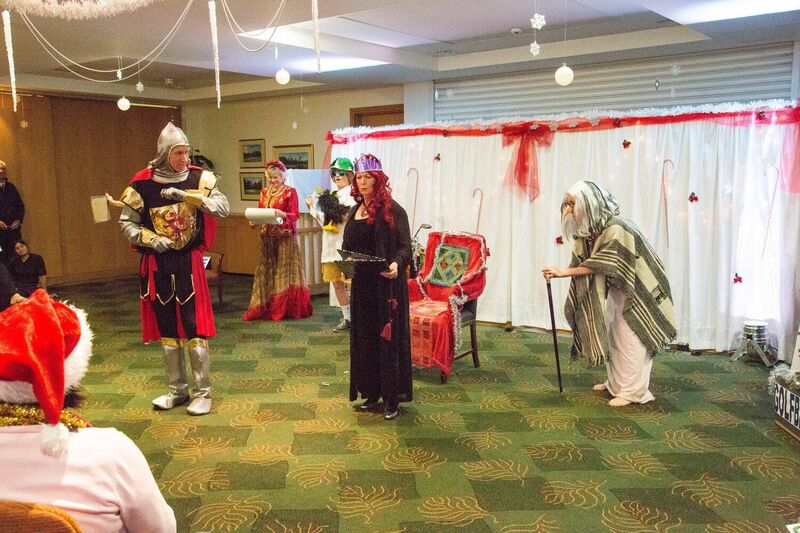 The Knight has committed a variety of dreadful sins, for which he is about to be admonished. 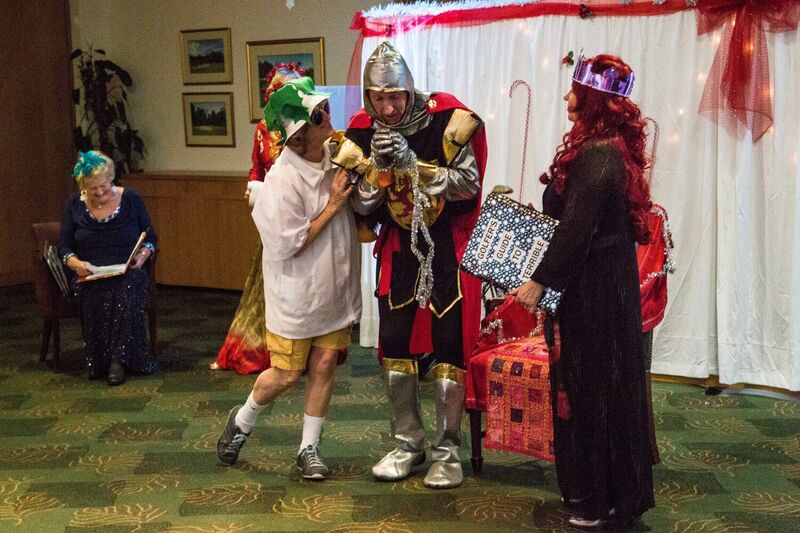 The Queen and Caddie collude to find the most appropriate torture, while the Knight pleads for his safety, offering to give the ladies ANYTHING they want. 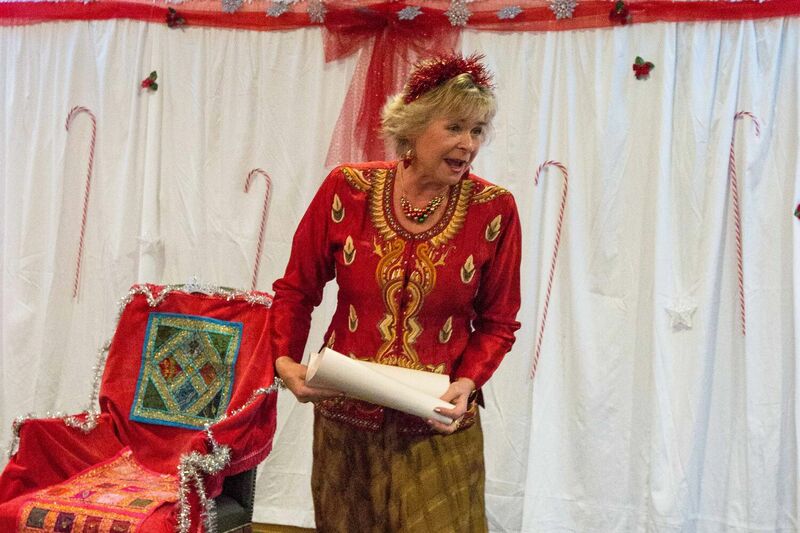 They give him a list of items, but he concludes that all they want is to be THE BOSS! 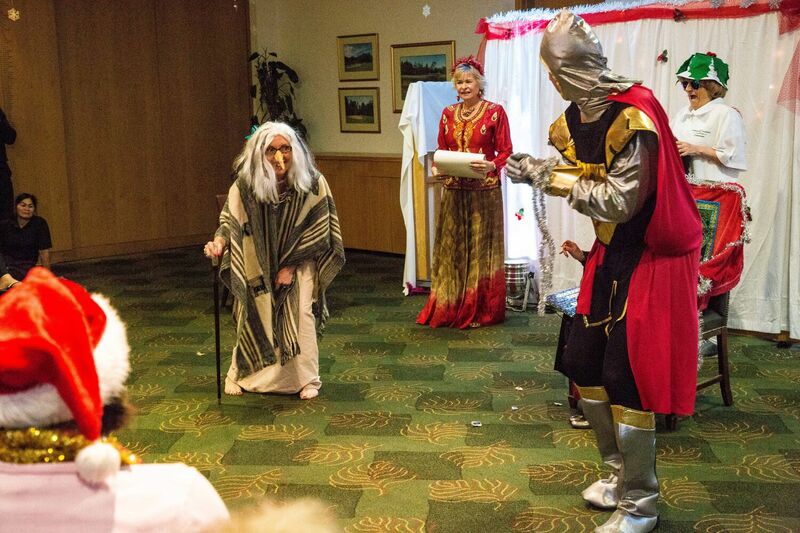 While the Knight awaits his fate, an Old Hag appears, (Kate Pinto) and the jury decide he should marry her as his punishment. 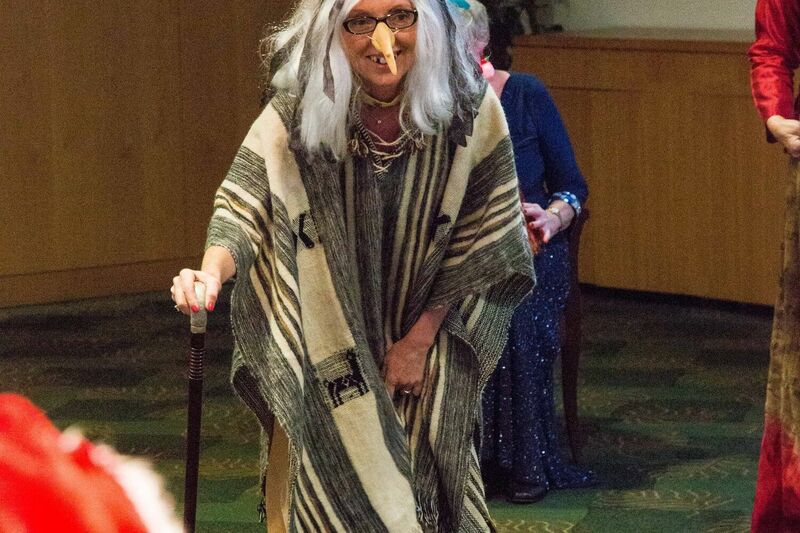 After the wedding ceremony the Old Hag disappears and morphs into a Miraculous Maiden. 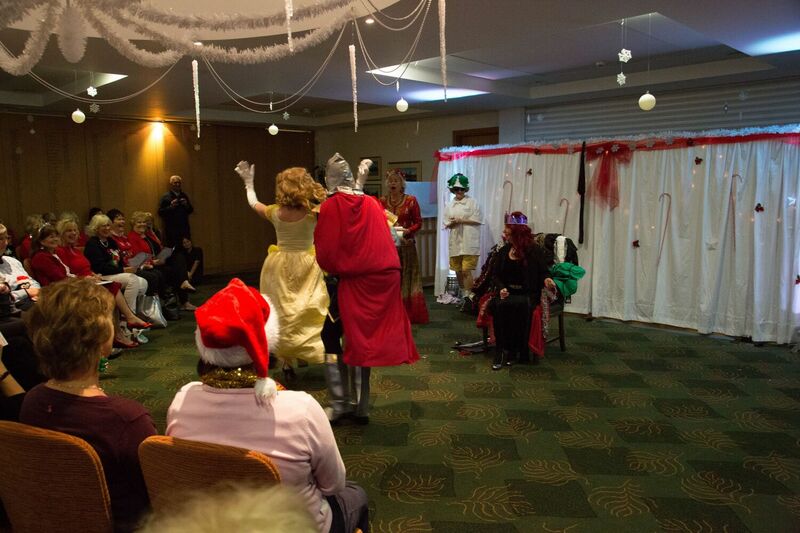 All is resolved and in true Panto fashion, everyone lives happily ever after! 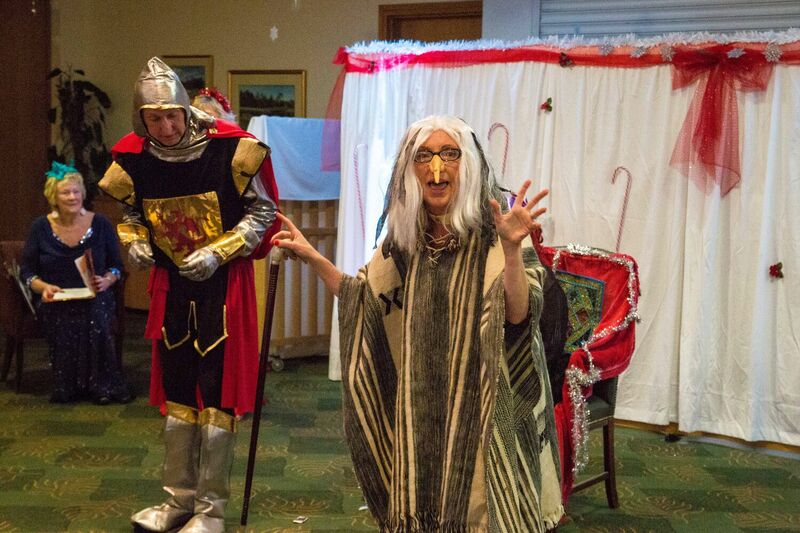 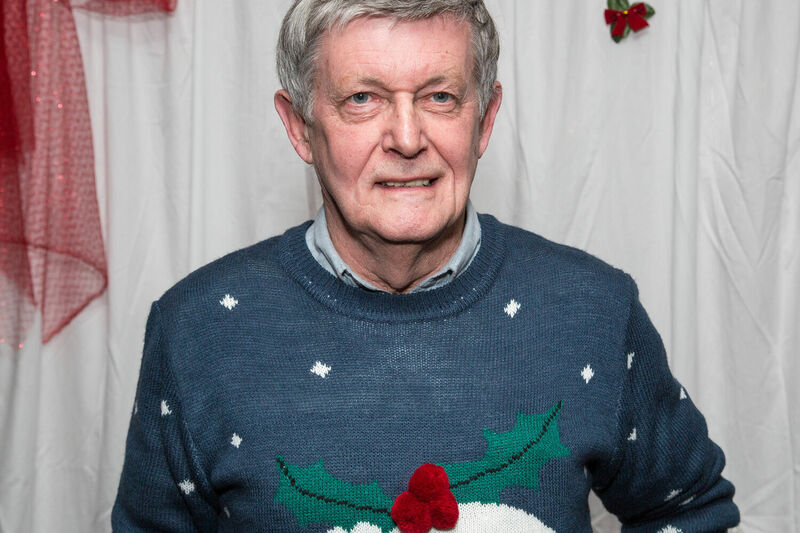 The Panto was directed by Kate Bettison and superbly supported by musical maestro David Howard and Stage Manager Maureen Smart. 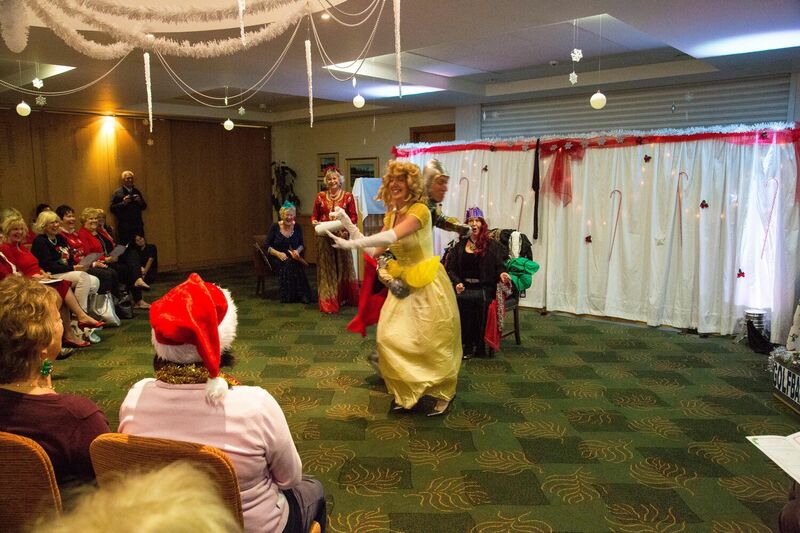 Kate was astounded by the sheer brilliance of the cast, most of who had never before performed in public. 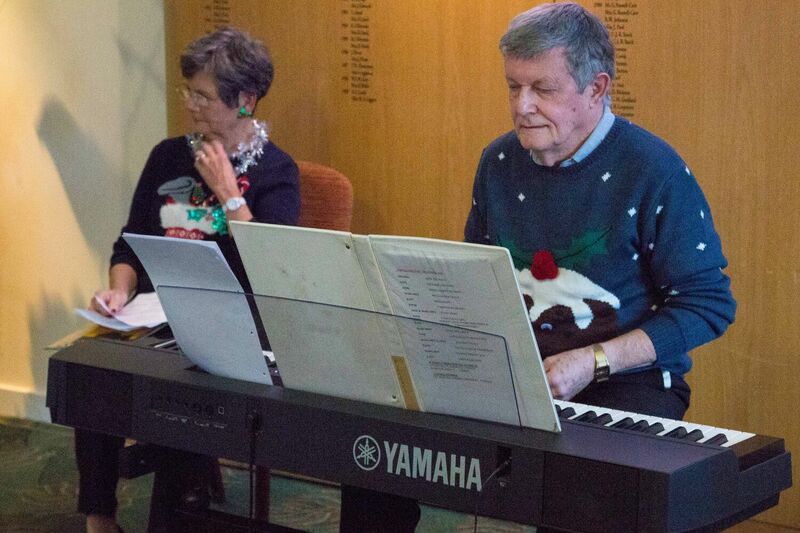 It was a great team effort.